WEL Program spots still open, Upcoming conferences, & More!! As many of you know by now, Amy is enjoying her summer adventures thanks to her participation in the 2018 Z. Smith Reynolds Sabbatical Program! We certainly miss her presence but are happy for her experience and rest! She does so much for HandsOn and the local nonprofit community. In her absence, we want to reassure you that Kathy and Brittney are available and willing to assist you with your needs. We continue to provide service project planning and administration for local organizations, as well as those visiting the area and wanting to give back to the community during their stay. If you need assistance, contact Brittney. In our last newsletter fellow board member, Renee Shipko, introduced our new website. The following are some highlights I think are great about our new and improved website-- If you are interested in our upcoming events, go to the Upcoming Events page of our new and improved website. The dates and times of our upcoming programming for Nonprofit Essentials, Project Blue Print, Peer Philanthropy Network , Nonprofit Finance Officers Meetings, and other volunteer and board training sessions have information and registration located in one place. For our supporting partners, remember the website offers you options for recruiting and posting volunteer opportunities. Additionally, we have a page dedicated to resources for nonprofit organizations that will engage, equip, and inspire as you seek to fulfill your missions. Just in case you are not a supporting partner, we have made it easy to become one- Become a Supporting Partner. Lastly, we still have a handful of spots available for our Women's Emerging Leaders program, our signature leadership development program geared to mid-level female nonprofit staff, as well as new Executive Directors of small and emerging nonprofits. Anchored by the two and a half day Leadership Essentials for Women workshop, scheduled for Wednesday, August 29th through lunch on Friday, August 31st, the cohort then feeds into our Nonprofit Essentials series. The Women’s Emerging Leaders ten-month program is specifically designed for women looking to build their career path within the nonprofit sector and provides the skills and tools needed to expand professional horizons. Please let us know ASAP if you are interested in one of the last spots available! Upcoming Workshops in Davie County! Our partnership with United Way of Davie County and Davie and Davidson County Community College's Small Business Center Network is bringing two additional FREE workshops during the month of August to our partners for whom attendance at our Forsyth County location is a barrier. While registration is open to everyone within our network, priority will be given to those organizations serving Davie County. Please click on the title of each session for online registration and additional details. Tuesday, August 14th, 9:00 am- 12:00 pm; NO COST! Tuesday, August 28th, 9:00 am- 12:00 pm; NO COST! Don't Miss Out on Our Volunteer Management Training Series! Register for the entire series, or just for the sessions that interest you. If your organization registers for the series, different staff members can attend different sessions. Each class is eligible for CAVNC credit! Spots are Available in Our Popular Building Capacity for Measurement Program! Three Spots Available Beginning August/September 2018! The nonprofit sector is increasingly under pressure to show meaningful results, but organizations often don't have the right tools to adequately measure their results or are intimidated by the evaluation process. Building Capacity for Measurement provides nonprofits with a consultant who will use group training, individual coaching, and technical assistance to help the organization design a simple, effective measurement system for a particular program or activity, as well as a process that can be used to embed the measurement system into the organization's on-going operations. Applications are accepted on a rolling basis. Spots for this popular program almost immediately filled up when we launched it approximately 18 months ago. We're excited that we are once again offering slots for local nonprofits to participate in this important and valuable program. COST: $200 for Supporting Partners/ $225 for all others. Save the Date: Kivi Leroux Miller Coming on November 8th! Kivi Leroux Miller is the founder and CEO of Nonprofit Marketing Guide , where she helps nonprofit communications professionals learn their jobs AND love their jobs through a variety of training and coaching programs. She has personally mentored more than 150 nonprofit communications directors and communications teams as a certified executive coach. She is a popular keynote, workshop, and webinar presenter, speaking dozens of times each year. She is also the co-founder of Bold & Bright Media. Kivi is the award-winning author of three books, as well as a popular blog . She will be presenting two, half-day workshops on November 8th at the Winston-Salem Foundation building. Be on the lookout for additional information in our August e-newsletter! Sherry Lee, VP of Human Resources with YMCA of NWNC, will provide information on best practices for Volunteer Administrators to keep their volunteers and organizations safe. The meeting will take place on Wednesday, July 25th, from 8:30-10:00 am on the third floor of the Winston-Salem Foundation building. The Piedmont Regional Association of Volunteer Administration (PRAVA) provides support and networking opportunities for volunteer administrators, while promoting and fostering volunteer relationships within the community. PRAVA works in collaboration with other local, national, and international volunteer organizations to encourage the recognition and proper utilization of volunteer skills and services, and enhance the role and importance of all volunteers. The organization also provides training through regular meetings, workshops, and seminars. The Triad chapter of the Association of Fundraising Professionals (AFP) is offering a series of webinars that are eligible for continuing education points on your CFRE for initial and/or recertification. 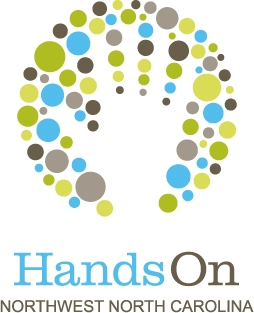 Morning sessions (8:30-10:30 am) will be held at the Guilford Nonprofit Consortium and afternoon sessions (12:00-2:00 pm) will be at Habitat for Humanity of Forsyth County. August's webinar is on Thursday, 8/9, and will serve as an Intro to Donor Segmentation. Effective storytelling starts with matching your message to your audience. Learn effective strategies for segmenting your donors and other constituents in your database. Register for the morning or afternoon session. CapDev's "in touch" Philanthropy Workshop is Filling Up! This one-day workshop is offered in various locations around the Southeastern U.S. 2-3 times each year. However, this is the first time it is being offered in Asheville, NC ! Held on August 23rd , it is a deep dive into campaign planning, and is great for both nonprofit staff and board members to attend (max of 2 per organization) . The cost is minimal, and includes lunch. CapDev touches upon philanthropic trends with an overview of the State of Philanthropy, and ends with a section on Innovative Philanthropy. However, the core of the day is dedicated to the four essential elements of campaigns. Workshops are kept intentionally small (24 max.) for better interaction, and always sell out, so early registration is recommended!Reservations at the Village Hotel on Biltmore Estate close on July 23rd. Register now! Don't Miss the NC Philanthropy Conference! The 14th Annual NC Philanthropy Conference will be located in Winston-Salem this year! It will be held on August 30th at the Benton Convention Center. Join 500+ nonprofit professionals from across the state for cutting edge education and professional growth opportunities for fundraising professionals with a focus on leadership. Pre-Conference workshops will be held on August 28th and 29th. The conference offers something for all skill levels--from those new to the profession to seasoned fundraisers. Reserve your seat today! Registration is Open for NC Center for Nonprofits' Annual Conference! This year's conference, Power Play: Disruption for Good, will be held September 12-14th at the Sheraton Imperial Hotel and Convention Center, Research Triangle Park. It will feature the exciting keynote speaker, Vu Le, Founder and Blogger at NonprofitAF.com and Executive Director of Ranier Valley Corps. Register and view rates here! Hurry, early bird registration ends July 20th! Get More Grants, offered in partnership with the Alliance of Arizona Nonprofits, continues in July. The next two webinars in this six-part series will help you hone your grants research, writing, and relationships. All webinars are 12:00-1:30 p.m. (EST). Registration is $35 for Center Members and $45 for all others. Want to catch up on the full series? Series registration is discounted: $180 for Center Members and $240 for all others. You'll receive recordings of the first two webinars - Quick-Start Guide to the One-Page Grant Proposal and Making Friends with Funders - and participate live for the upcoming webinars. Learn more and register. 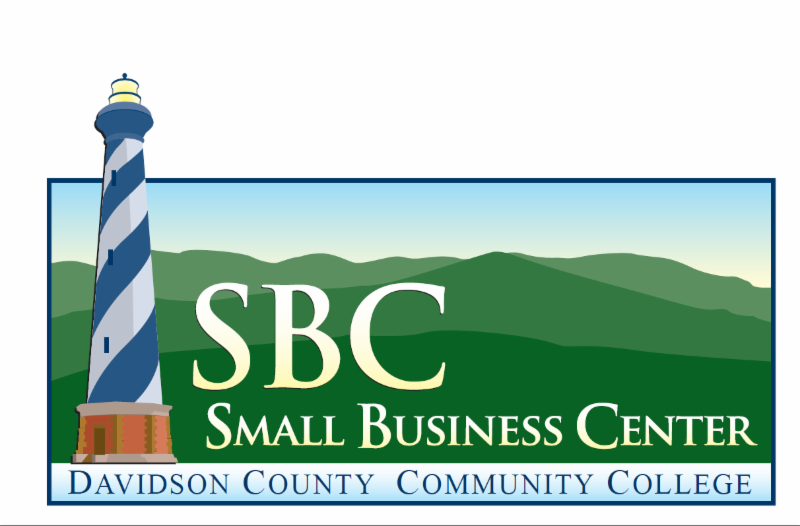 Our friends at the Davidson County Community College Small Business Center have partnered with Mindspark Live to offer a series of helpful webinars to local small business and nonprofits. They will occur on the first Monday of each month from 7:00-8:00 pm. Leadership Winston-Salem is Accepting Applications for Action Learning Projects! Leadership Winston-Salem is now accepting applications for Action Learning Projects for the Class of 2019. 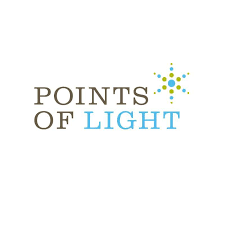 If you are employed by or volunteer for a Forsyth County nonprofit that has a complex problem or potential opportunity, please consider joining them on July 17 at 4pm for an Action Learning Project information session. They will have coaches, community partners and class members from the Class of 2018 who will share their experiences and provide perspective on the process and how it can benefit your organization. Please reserve your space by contacting Katherine Perry. Enjoy seeing the following Action Learning Projects that made a difference! Kaleideum Seeks Exhibits Assistant! Kaleideum , a HandsOn Supporting Partner, is looking for a responsible individual to fill this part-time position at the Kaleideum Downtown location. This person would assist in overseeing the museum's appearance by maintaining a clean and safe public environment. This is a physically active and team-oriented role. For more details, please review the full position description. To apply, please submit your resumé and a museum application to Jimmy Bates. The Shepherd's Center of Kernersville Seeks New Executive Director! The Shepherd's Center of Kernersville, a HandsOn Supporting Partner, is seeking an Executive Director who is responsible for the overall management and direction of the organization in accordance with its vision and mission. An increase in program demands is expected; therefore, theye seek a leader who is energized by the goal of expanding services and partnerships. The Director works under the general oversight of the Board of Directors and will supervise a staff of five employees. By building on the past success, the Director will build new collaborations and partnerships with major donors, community leaders, and related organizations. The Executive Director works with the Board Leadership to establish goals and oversee the daily management of the nonprofit, and their primary responsibility is to ensure that those who are aging or with disabilities in the Kernersville, Walkertown, and Eastern Forsyth County communities receive vital services and enrichment programs which enable them to remain in place and stay active and connected as long as possible. For more information, please review the full position description. Candidates should e-mail a resume and salary requirements to info@shepctrkville.com . return in person to Bookmarks at 634 W. 4th Street #110, Winston-Salem, NC 27101. Please submit all questions via email. No phone calls. KBR Charitable Trust "Local Impact in Forsyth County" & "Great Expectations" Funding Deadline Approaching! Last year, the Kate B. Reynolds Charitable Trust celebrated their 70th anniversary. This led to the release of an updated Strategic Vision to underscore why they do the work that they do and the change they support. In this funding announcement, you will see that the Trust is making grants around specific bodies of work. This represents their shift toward concentrating on the outcomes they want to see at the individual, city, or county level. They will continue to deepen their focus on outcomes, rather than issues. "Local Impact in Forsyth County" outcome focus areas include Safety Net services and Oral Health. "Great Expectations" outcome focus areas include Early Intervention and Health-Home Visiting, Behavioral Health Supports and Access to Quality Child Care-Family, Friends, & Neighbor Care, Universal Pre-K. Contact Alison Duncan at the Trust to assess eligibility before August 1st prior to submitting your grants application. Application deadline is August 14th at 5:00 pm. The Charity Sale is a private, four-hour sale dedicated to supporting local nonprofit organizations. Participating charities will have the opportunity to raise money for their organizations by selling tickets at $5 each and keeping 100% of ticket proceeds. Ticket holders will receive 20-70% off of Belk purchases storewide, including special savings on rarely discounted brands and also get their $5 back with a coupon that is on the charity day ticket. The Back to School Charity Sale is set for Saturday, August, 25, 2018 from 6:00-10:00 am at all store locations. Organizations participating in the sale are also eligible to be entered for a chance to win a $1,500 donation from Belk! For more information or to sign up to participate in the Sale at Hanes Mall, contact Sheila Belk. The new Funding Priorities for United Way of Forsyth County's Place Matters initiative will be shared with all interested partners and the community at one last open meeting on July 19 at 2 PM at Self-Reliance Hall at Goodwill Industries (2701 University Parkway). In order to gain access to the LOI you must attend this meeting if you missed the one on July 10th. As with the first Place Matters Investment Process, United Way staff and the Resident Impact Council will review the LOI, provide questions if necessary, and determine which potential programs best focus on the Funding Priorities to provide the greatest impact in the Civic Neighborhoods. ﻿ On Tuesday, a new law (H.B. 646) was enacted that gives the General Assembly's Program Evaluation Division (PED) broad authority to investigate the use of state funds by nonprofits. The law authorizes PED to evaluate the efficiency and effectiveness of nonprofits that receive or expend state funds. This could include any nonprofit that receives a budget appropriation, a state grant or contract, or is a subgrantee or subcontractor. PED is now expressly authorized to make unannounced site visits to nonprofits it is evaluating and to make recommendations that these nonprofits' programs and activities are duplicative of other organizations or of state agencies. The Joint Legislative Program Evaluation Oversight Committee also now has broader authority to initiate PED's evaluation of nonprofits. Governor Roy Cooper chose not to sign the bill, but it became law without his signature. While it is appropriate for the state legislature to seek information on whether nonprofits are effectively and efficiently using state funds, the NC Center for Nonprofits is concerned that this could create an opportunity for some elected officials to initiate burdensome investigations of nonprofits that receive even a small amount of state funding. NC Justice Center Releases Economic Snapshots for All 100 Counties ! • and many more data points about your county. Their Economic Snapshots include indicators on employment, poverty and income, housing, health, education, and supports for working families—all of which come from a variety of sources. They selected indicators based on several factors including availability, reliability, and consistency. Download your county’s Economic Snapshot today! NEWS FROM AROUND OUR NETWORK! Your Quarterly Verified Volunteers Update! Their most recent webinar helps you understand how to tailor recognition to different volunteer motivational styles and provides tools so you can build a successful volunteer recognition program. Available to watch on demand by clicking the link above. As most volunteer organizations know, there are many components involved when conducting volunteer and paid staff background screening. When an organization uses a volunteer’s background information to deny a volunteer role, they must comply with federal and state laws which are meant to protect the applicant from discrimination. The variety of laws/rules can be overwhelming and if regulations are not complied with properly, an organization might have to deal with penalties. To ensure a safe environment for girls, the national Big Brothers Big Sisters of America organization updated its screening policy directive in 2016 to have a more layered background check approach. Verified Volunteers was rolled out to Big Sister Boston volunteers early in 2017 to streamline background screening and expedite volunteers through the Big Sister Boston onboarding process. Verified Volunteers recently surveyed clients and non-clients alike — all of whom run volunteer programs – to better understand their background screening needs and processes. The 967 survey responders represented a wide range of organizations including social and human services, education, healthcare, religious and youth development groups. Responders were mostly volunteer managers and program managers and directors whose organizations relied heavily on unpaid volunteers. 2017 was a year filled with national and man-made disasters around the world. Hurricanes, floods and wildfires struck the U.S. hard this past year, especially during the last three months of the year. Most of these events are unexpected and leave very little time to prepare. Therefore, it is very important to start preparing and have a plan in place for future disasters that involve emergency response, nonprofit assistance and volunteers.